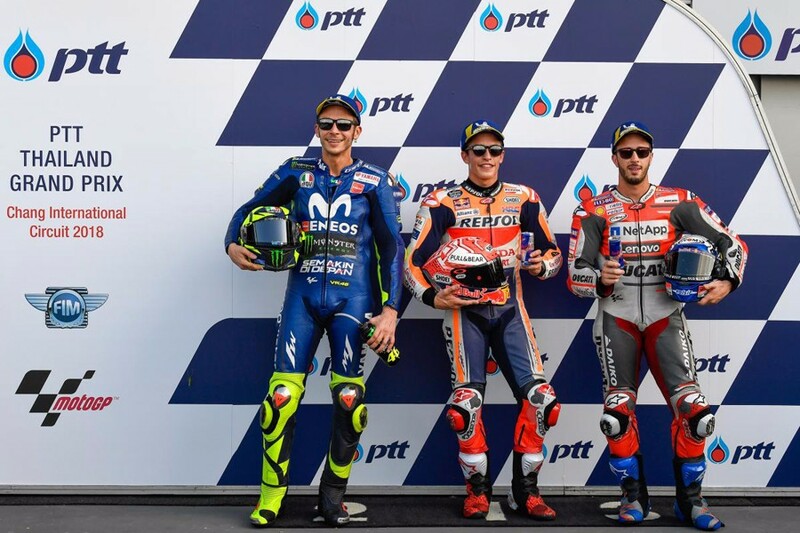 The Round 15 on MotoGP 2018, PTT Thailand Grand Prix ran Qualifying at Chang International Circuit on October 6, 2018. 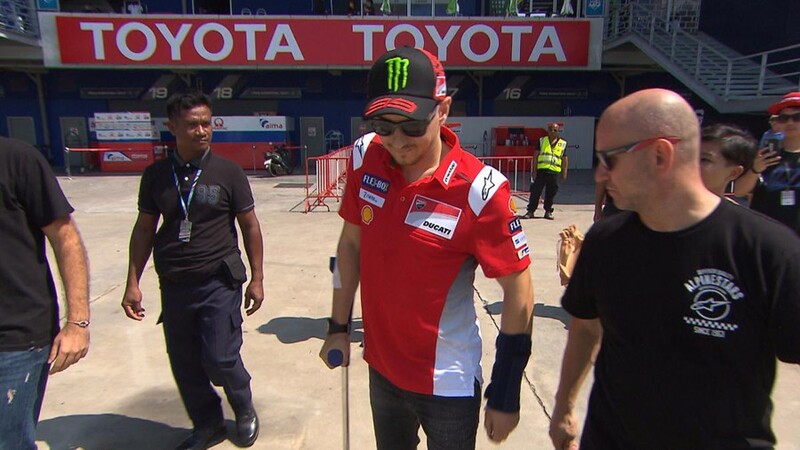 Jorge Lorenzo (Ducati Team) has withdrawn from the remainder of the weekend after injuring his left wrist during a huge Friday afternoon highside. 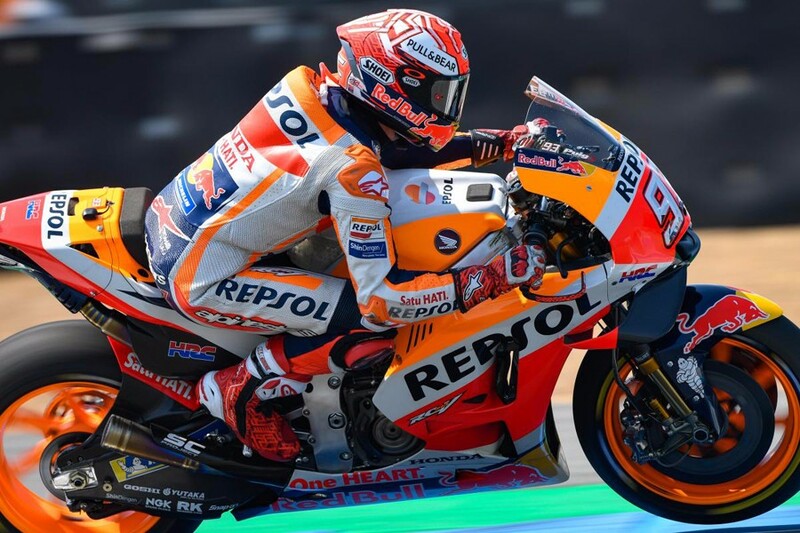 Marc Marquez (Repsol Honda) took his fifth pole position of the 2018 after advancing to Q1 from Q2. 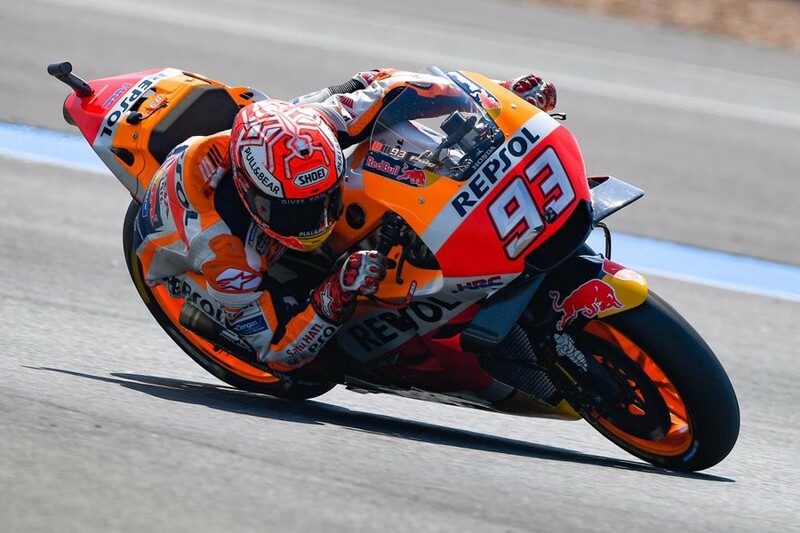 It marks the first time he has taken pole in MotoGP having come through Q1. 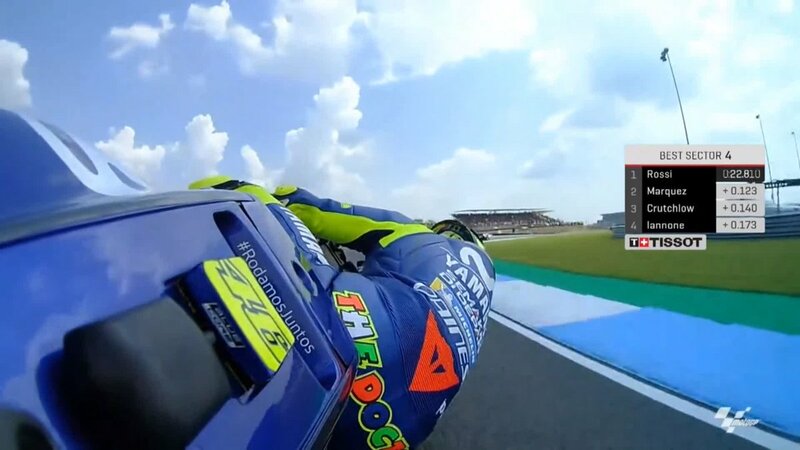 Valentino Rossi (Movistar Yamaha) took 2nd position and will start on the front row since Dutch TT ASSEN. 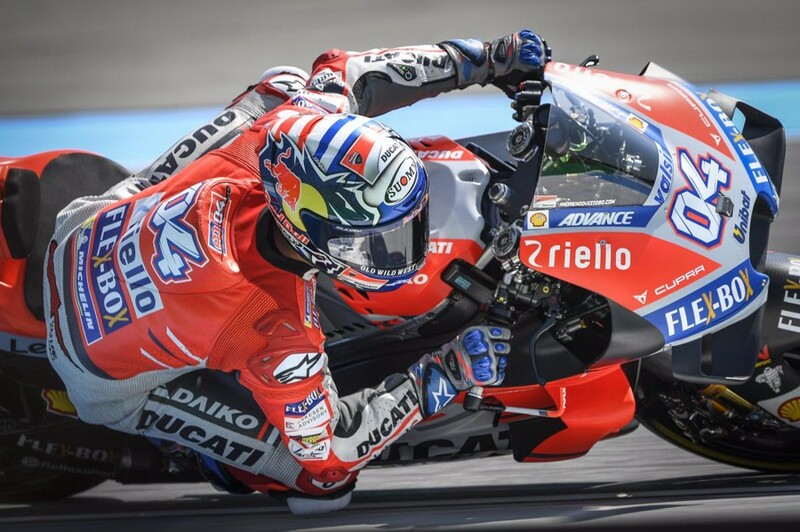 Andrea Dovizioso (Ducati Team) was 3rd position with 1m 30.227s. 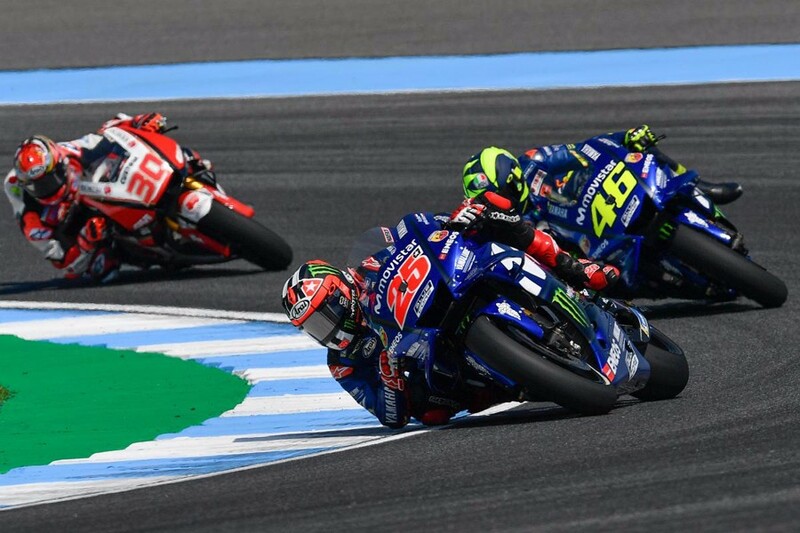 Maverick Vinales (Movistar Yamaha) made the top four, missing out on a front row spot by a tenth, followed by Cal Crutchlow (LCR Honda) and Andrea Iannone (Suzuki Ecstar). 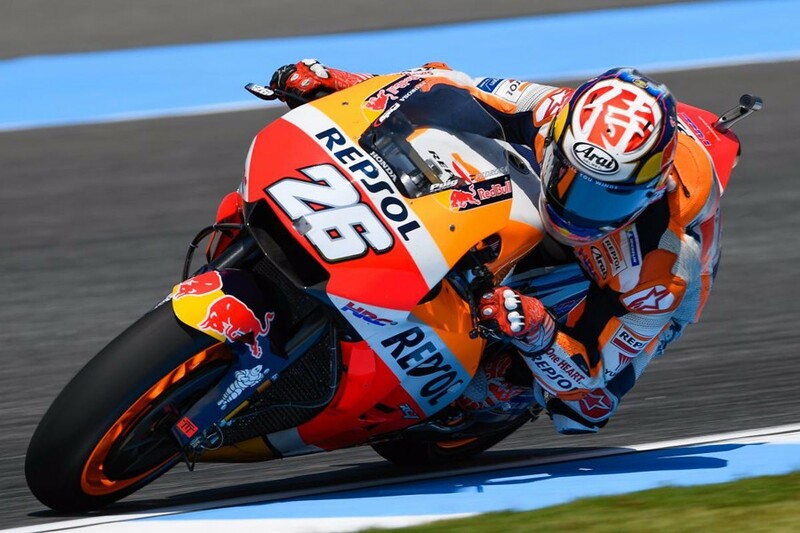 Dani Pedrosa (Repsol Honda) was seventh ahead of Johann Zarco (Tech3), Danilo Petrucci (Pramac Ducati) and Jack Miller (Pramac Ducati). 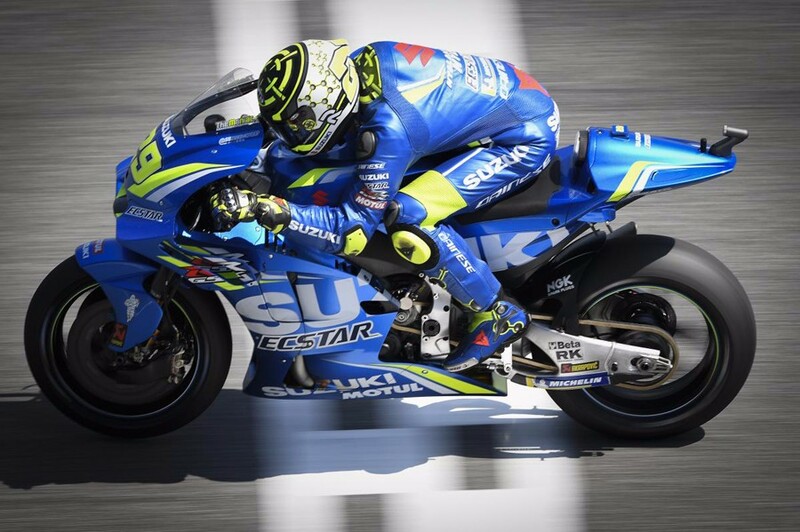 Alex Rins (Suzuki Ecstar) advanced to Q2 from Q1 along with Marc Marquez, will start at 11th position tomorrow. 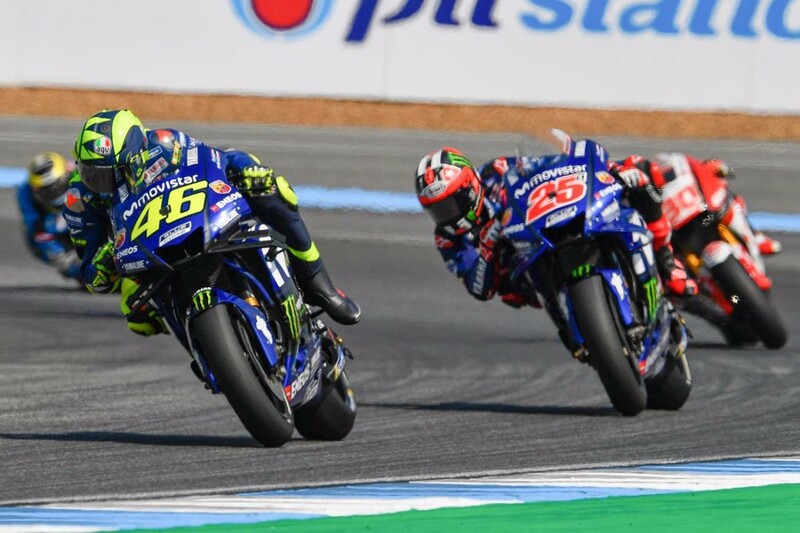 “I’m happy how I finished the day but honestly, this morning we were very unlucky because when I put the new tyres for the time attack, we had a small problem on the bike and then I go in, we didn’t have time to change the front tyre, and I go out with the second bike. 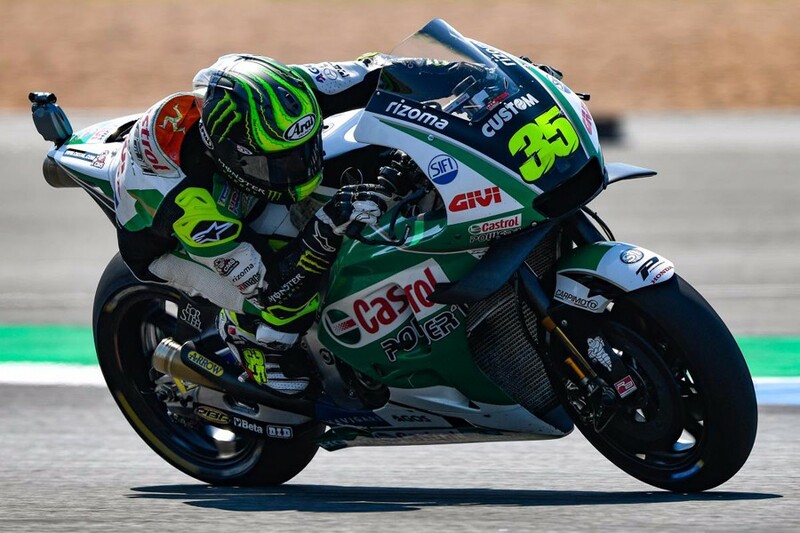 It was not the set-up that I like and the front tyre had 20 laps, the hard, and I lose the front and crashed. 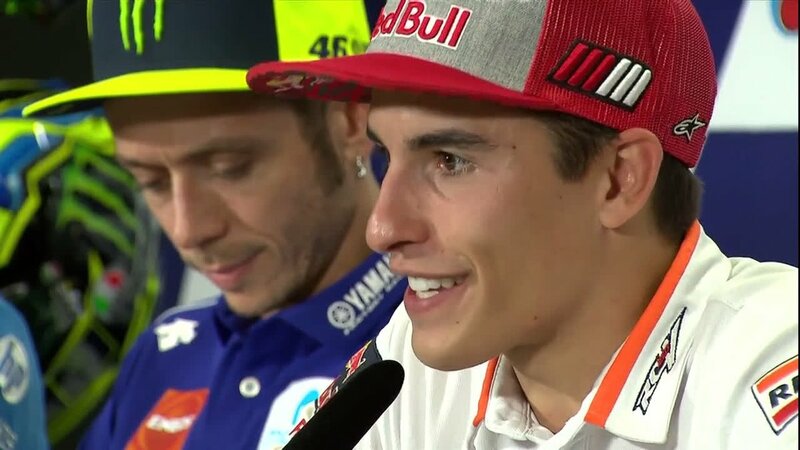 It is a risk if your strategy is to prepare a lot for the race, then you have only once chance to come in QP2, but then in the afternoon we managed in a good way. 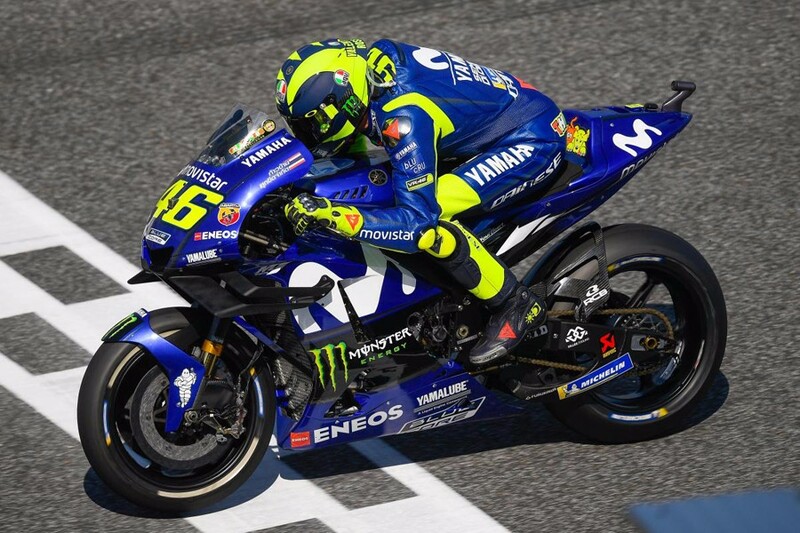 We were able to be competitive in FP4 with the used tyres, even also in QP1 I ride really good and in QP2 maybe I pushed too much and I made some mistakes, I missed some apexes and I didn’t make my perfect lap, but even like this I was able to be in the pole. I’m happy because the front row was my main aim today. It was not my intention to be in QP1 and I was very disappointed this morning because all weekend I feel really good and everything was ready to be straight away to QP2. But it was time to go in QP1, but honestly speaking I was riding much better in QP1 than in QP2. 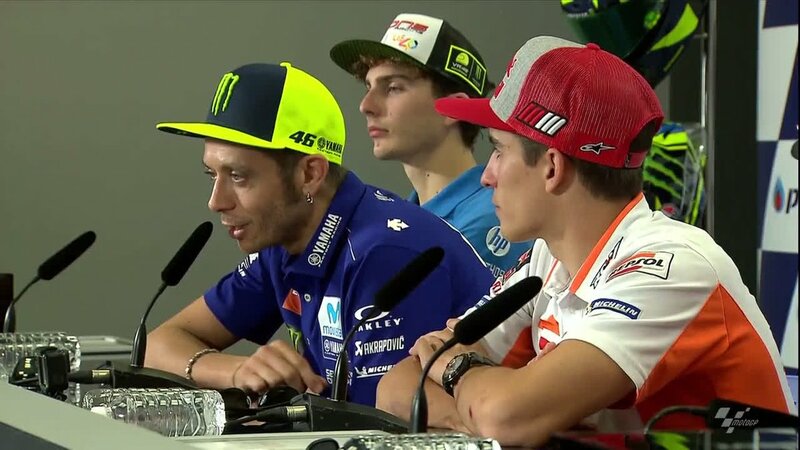 I was pushing too much in QP2, over the limit, but in QP1 I was smooth and the lap time comes easy and I expect it will be ’29 in QP2, but then I pushed more and I did more mistakes. Honestly speaking, I think everybody will be with the hard rear. Tyre life here is important, it is very hot, and I think everybody will be with the hard.